Bruce Mound Winter Sports Area is a located in Clark County, about 225 miles outside of Milwaukee, Wisconsin. Bruce Mound has been county-operated since 1960, and offers plenty of winter recreation that lives up to its name. Geared toward downhill skiers and snowboarders, as well as downhill tubing enthusiasts, Bruce Mound Winter Sports Area is fun for the whole family. 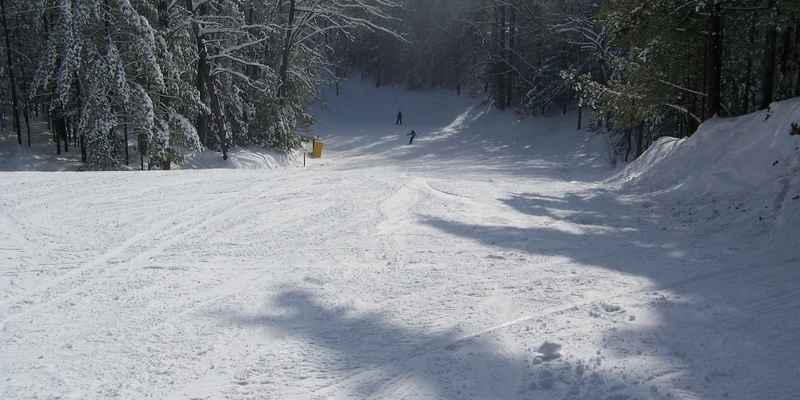 A popular family ski destination on the verge of expansion, Bruce Mound Winter Sports Area currently offers seven scenic snowboarding and skiing slopes. The slopes vary in difficulty, with the “Show off” and “Bunny Hill” being the green circles, “Half Moon” and “Quick Draw” being blue squares, the “Old Main” and “Death Valley” being black diamond, and “Sunny Slope” ranking a double black diamond. Bruce Mound offers 375 vertical feet, and their longest run is 3,000 feet. The slope style contest has been canceled for tomorrow, Sat 16th. The rain we received over the last few days as done a number on our features. There are a few new features out on the hill that will be set up for riders. We encourage everyone to come enjoy a beautiful spring day, and our last day of the season. We were looking forward to a slope style contest this year, sadly the weather did not corporate. We will have an event next year for all of our riders. Bruce Mound Winter Sports Area is feeling curious. Hey Followers and Fans! We are very interested in hearing your thoughts on how we are doing. We would really appreciate your honest input in a quick survey which you can done online at the link provided. We will be using these surveys to evaluate our operations while continuing to move Bruce Mound forward! Thank you again for the great season and your honest input! Longest Slope : 3,000 ft.